Not quite yet reaching the 99 Luftballons of Nena’s 1980s hit, this year will see a record 39 participating balloons taking off during the Taiwan International Balloon Festival in Taitung on the island’s southeastern coast. Balloons of all shapes, sizes and designs will grace the skies in a colourful fiesta for everyone to enjoy. Lasting more than 40 days, the festival will also boast the longest hot air balloon activity in the world. If you have never taken to the skies in open-air, tethered balloon flights will give you the opportunity to admire the magnificent Luye Highland from high above. Balloons from all over the world will take part, including novelty balloons resembling characters from popular animation series as well as an English bulldog-shaped balloon to mark the Chinese Year of the Dog. But even if you prefer to stay with both feet anchored to the ground, you’ll be kept busy with lots of other activities including eight night glow music concerts, virtual reality experiences, dancing water shows, markets and of course Taiwanese cuisine. Can’t make it to the Balloon Festival, then why not try Taiwan’s Wang Yeh Boat Burning Festival instead. And if you plan to tie the knot, the wedding photography activities will ensure you’ll always remember your special day. An accumulated 4.6 million visitors have now attended the Taiwan International Balloon Festival since its inception eight years ago, while this year’s festival was named by Travel Channel as one of the Top 12 Stunning Hot Air Balloon Festivals in the world. Afternoon Session: 05:00-07:00 PM | Selling tickets at 04:00 PM (On 30 June there will only be an afternoon session). 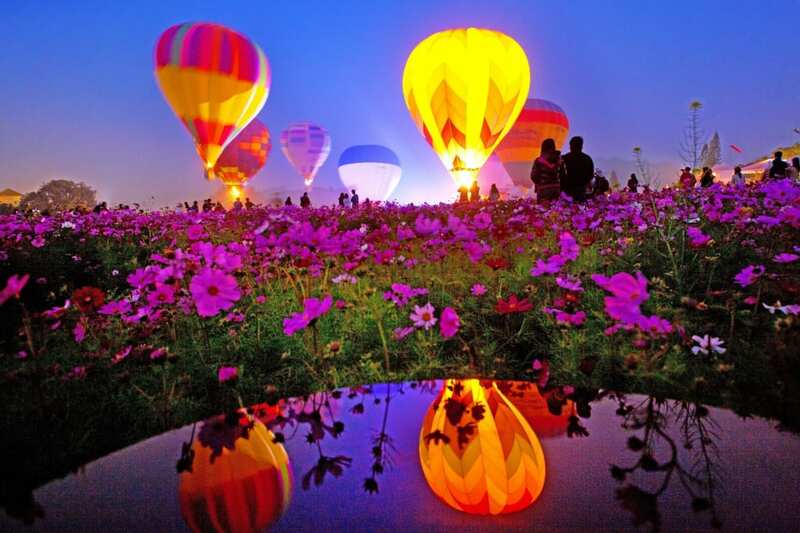 The next Taiwan International Balloon Festival in Taitung festivals is scheduled for 30 June to 13 August, 2019. It will be held in Taitung, Taiwan.